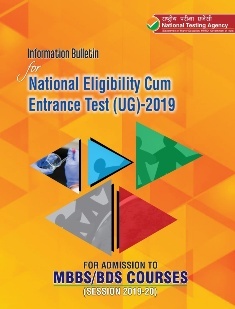 The National Testing Agency (NTA) has released the NEET 2019 application form on November 1, 2018, at 11.30 AM on its new website-ntaneet.nic.in. The mode of release of the application form of NEET 2019 is only online and there is no change in the application fees this year. NEET 2019 registration facility will be available till November 30, 2018. Candidates will be allowed to submit the fee of NEET 2019 application form till December 1 up to 11.50 PM in case of online payment and till the banking hours in case payment is through E-challan.